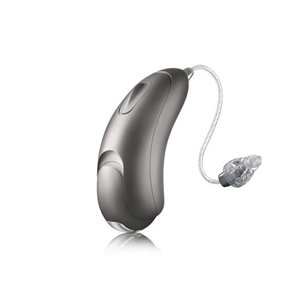 The Moxi All R Pro hearing aid from Unitron is a small hearing device worn behind the ear that comes in an award-winning design. Because the Moxi All R Pro is so small in structure, it is virtually invisible when worn. The hearing aid is powered with the latest platform programs and system that gives the wearer the best conversation hearing experiences.